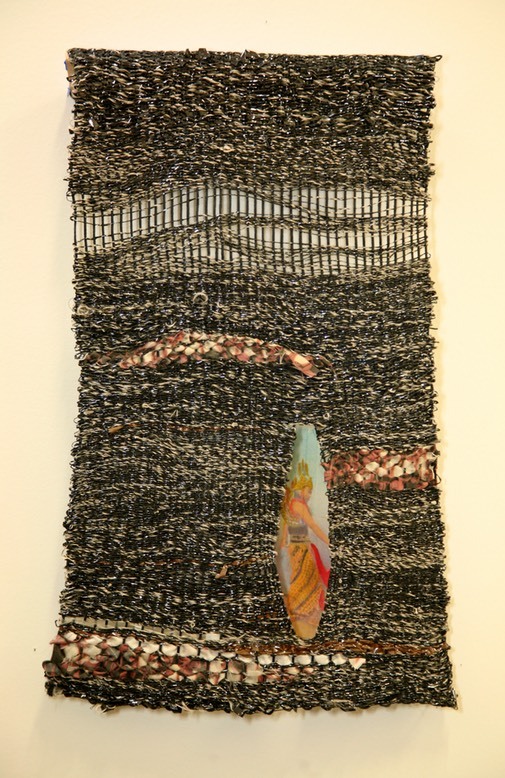 Aural Histories uses audio tape as a weaving medium. The tapes are copied digitally to preserve the recordings in a modern format. The original tape is handspun and used as both warp and weft threads. The titles correlate with the type of music or name of the original audio recordings. The music has subliminally influenced the finished pieces.